LIFTING GREY, WEATHERED STAIN FROM WOODWORK 1. Apply neat Wooden Deck Cleaner. 2. Leave for about 30 seconds. 3. Scrub along the grain with a stiff brush and LOTS OF WATER. GENERAL CLEANING AND DEGREASING 1. 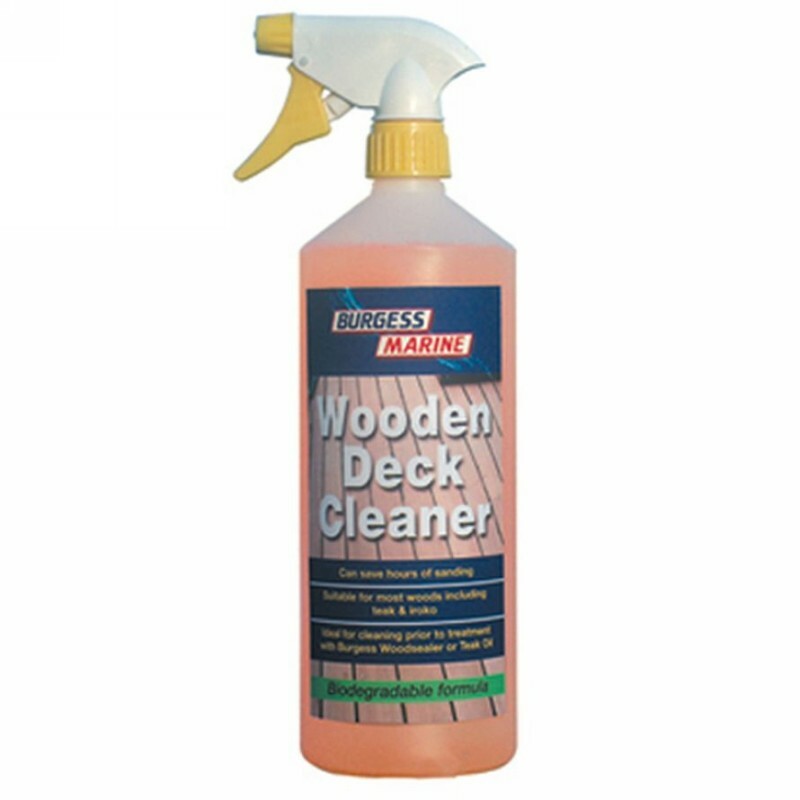 One capful of Wooden Deck Cleaner. to a bucket of water. 2. Apply with a brush. 3. Leave for about 30 seconds - DO NOT ALLOW TO DRY. 4. Rinse/scrub off with plenty of cold water. 5. For stubborn soiling, try a stronger solution. Health and Safety Wooden Deck Cleaner is non caustic. It can dry out skin after prolonged contact. If sensitive use a barrier cream or rubber gloves.